My Watermelon Moon: Hello New Friends! This weekend My Watermelon Moon is co-hosting a blog hop! How fun is that?? This is a great way to make new friends. Be sure to check out all of the fun friends that link up! Also, if you get a chance, check out some of the fun Halloween Projects here on my blog. Hi! 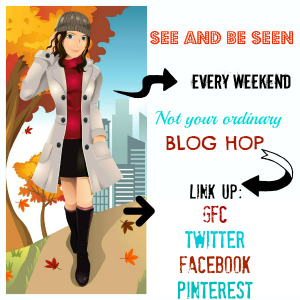 New follower via the Weekend Blog Walk on GFC, Facebook, & Pinterest! Would love for you to follow me back! Have a great weekend! I am new to this hop and also a new follower! Feel free to follow me back! I also love your Halloween wreath, so cute! Thanks for being a fellow co-host! I'm following from the Weekend Blog Walk. Thanks for hosting. Stopping over from the Blog Walk. I love crafts but I'm not very crafty. Hope it's contagious. I followed via GFC (http://www.journeysofthezoo.com). Couldn't find your other social media buttons (probably me). Leave a comment if you follow and I'll followback! LOL Sarah, the social media icons are hiding in the banner at the top!!! Hey Melissa :D Thanks for co-hosting. new follower here! I just wanted to say that everytime I visit your blog it makes me soooo happy. I love the design very much. Thanks for co-hosting the weekends blog walk. I really enjoy participating. Stopping in for the weekend blog walk and wanted to say hi!